Everyone loves King Size Salted Pretzels! 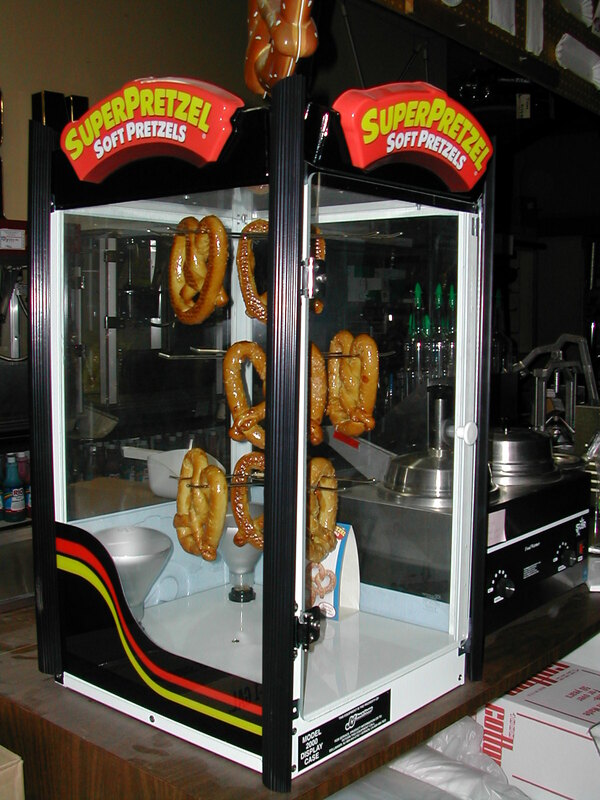 Pretzels come pre baked & frozen; they need to be maintained at zero degrees until ready for serving. Rental Machine Styles may vary from the unit pictured. To prepare, simply hang frozen pretzels in the warmer, in 45 minutes they are ready to sprinkle with salt and serve!! For low volume locations, pretzels can be microwaved. Higher volume locations may need to use a conveyor oven to keep up with demand.